Need something to put that Paleo Pepper Gravy over? Look no further these crunchy yet crumbly biscuits are totally Paleo and delicious at that. The greatest aspect of these biscuits is that they can be altered for any occasion or any meal. Let’s say you want a savory biscuit as a side for a meatloaf? Add some chives or sliced black olives (although, you may want to omit the honey). Want a sweet biscuit for that side of scrambled eggs? Add cinnamon or fresh muddled blueberries. No matter what type or flavor you are looking for in a delicious, paleo friendly biscuit you can adjust it and get exactly what you want! Personally, I love adding a pinch of cinnamon and ground star anise and then eating them with an extra drizzle of warm, local honey. Worried about guests? While these aren’t traditional tasting biscuits they are sure to please guests that are skeptical. They can carry that heavy and filling flavor that can take the place of that long lost biscuit you’re thinking of. 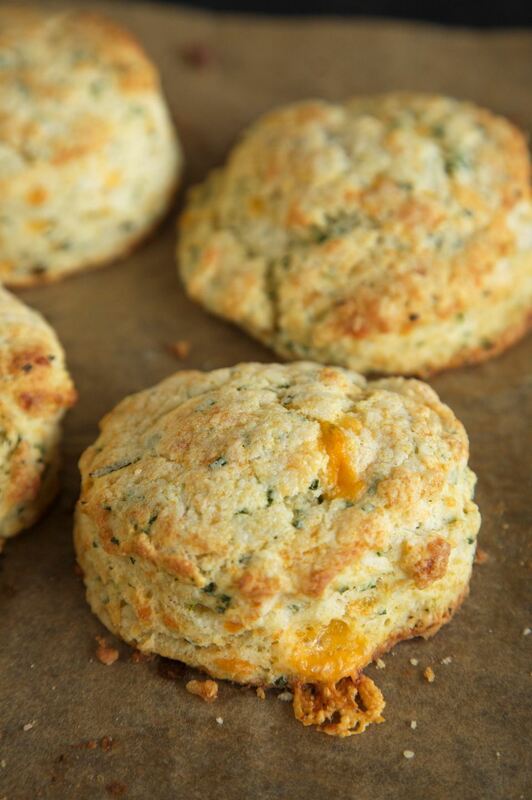 Follow below to open your Paleo mind to a gluten-free, dairy free biscuit. In a medium mixing bowl, combine flour, baking powder, and a pinch of salt. Next, in a small saucepan, melt the ghee careful as not to brown or burn it. Once melted transfer to a small mixing bowl and whisk in honey. Allow it to cool. In the medium mixing bowl make a crater in the middle of the flour. Crack the eggs into this crater and then with a fork beat them together. Once eggs are beaten, start to fold in the flour. Next, mix the ghee and honey into the mixture. Roughly mix the loose dough with a fork until ingredients are roughly combined. This would also be the step to add in any additional ingredients such as fruit, spices, or herbs. Lastly, drop large spoonfuls of dough mixture onto a flat baking sheet lined with parchment paper. Spread them out about 1 inch apart. Lastly, place in the oven and bake approximately 20 minutes or until biscuits are golden brown and cooked thoroughly. Serve warm and enjoy! The baking process may need to be repeated in order to cook up all of the biscuit mixture. Cooking time on second round may take less time due to the oven being warm for a longer period of time. Adjust accordingly so the biscuits do not burn. These biscuits can be stored in an airtight container at room temperature for approximately 1 week. For prolonged shelf life, keep in refrigerator no longer than 2 weeks or freeze them in a zip-close freezer bag for approximately 3 months. To reheat, simply remove from zip-close bag and reheat in the oven in a 325 F preheated oven for about 6 minutes.